Neil Young in Montreal or Quebec City? 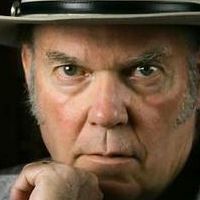 Inform me about the next events for Neil Young. Enroll yourself to our priority waiting list for Neil Young to be alerted when new tickets are available. Filling this form doesn't engage you to any purchase. Neil Young will be performing at the Festival d'été de Québec on Friday July 6th, 2018! The legendary Canadian folk veteran will be performing in Quebec for the first time since his concert at the Montreal Bell Centre in 2012. With Lukas Nelson & Promise of the Real as the opening acts, this promises to be one of the most memorable nights of the summer !